When I was younger I always thought the two Ace of Hearts record labels were the same thing. Like, “How cool is it that both Mission of Burma and Ella Fitzgerald have releases on the same label?” Thankfully the internet sorted me out. But I still dream that they can be one and the same. So the non-Decca label has released a whole slew of post-punk albums. This is a repressing, obviously. This pressing was released in 2010, issued by Matador Records with Ace of Hearts. This was the only album to be released under the band’s original line-up. Of course their EP, Signals, Calls and Marches, often gets more attention. Maybe rightly so as several of the band’s most recognisable songs. Vs is often described as a more “complicated” album compared to Signals, and I don’t think that is meant to be either a compliment or a critique. Certainly Vs lacks the same hooks that their EP did, but if you enjoy a more layered form of music, you might even find yourself enjoying the full-length more. That being said, so much of that familiar guitar sound is still here. Mission of Burma have that quality that means you couldn’t possibly ever confuse them with any other band. Vs is about as manic and special as you could imagine it to be. Though if you only half-listen, it can be an album that almost seems one-noted (which it isn’t in the slightest). This is also an album that can be pretty difficult to put on a timeline. It certainly never sounds dated like it’s forever stuck 1982. 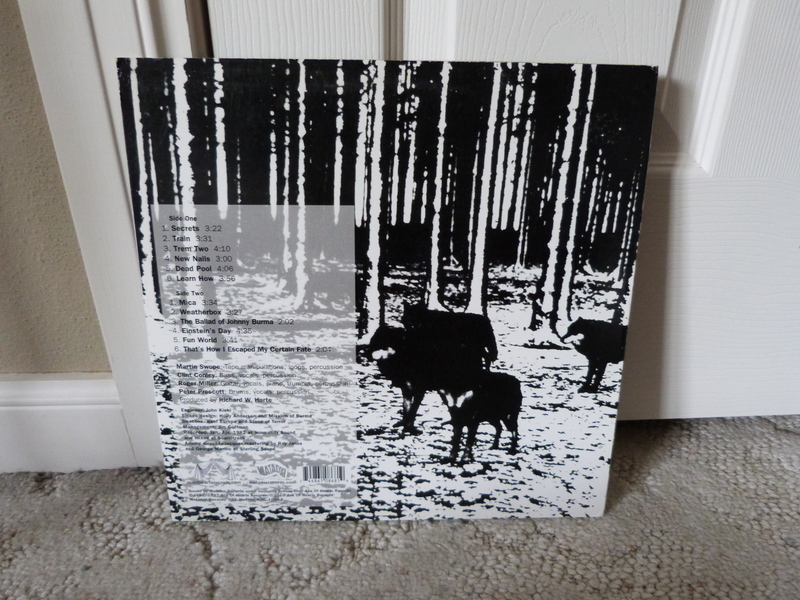 I bought this when I there seemed to be endless amounts of repressing of old post-punk albums coming out. When I previously wrote about Black Tambourine’s re-release, I spoke about veering into the path of buying new vinyl over buying used records in shops. I do have to admit that this was a pretty brief but violent phase. All of this was due to the amount of great stock choices at the Exclusive Company on by Brady Street in Milwaukee. I suppose it’s not too surprising, really, because most cities often carry a high quality of music at independent record stores. 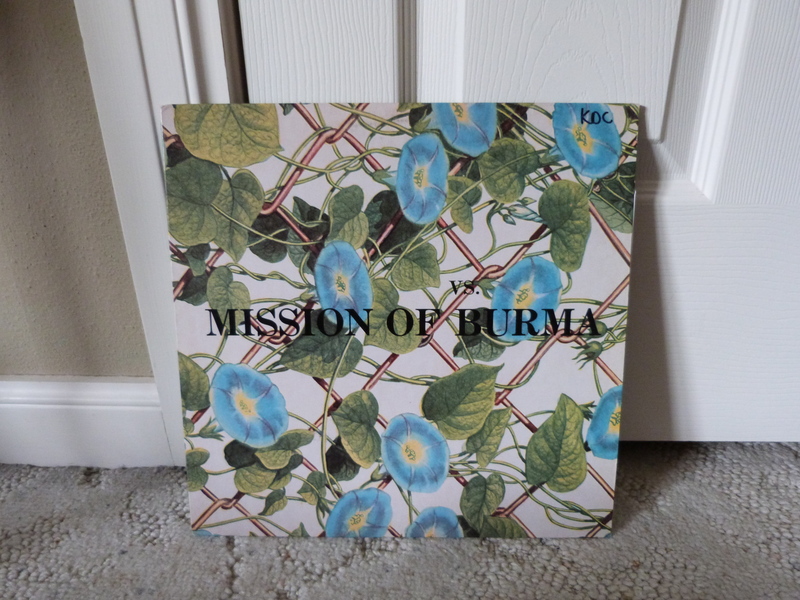 I always found Mission of Burma’s short career to be sad. Their end came in 1983 when Roger Miller’s tinnitus worsened. While they later reformed almost two decades later, it’s those years that form a rather large void with many thoughts of “what could have been.” But thankfully their early releases are so great and so important that I wouldn’t trade them for anything else.